Found a new dream car. Help me. Filed to: I've become a full-on Alfisti and I have no regrets.Filed to: I've become a full-on Alfisti and I have no regrets. 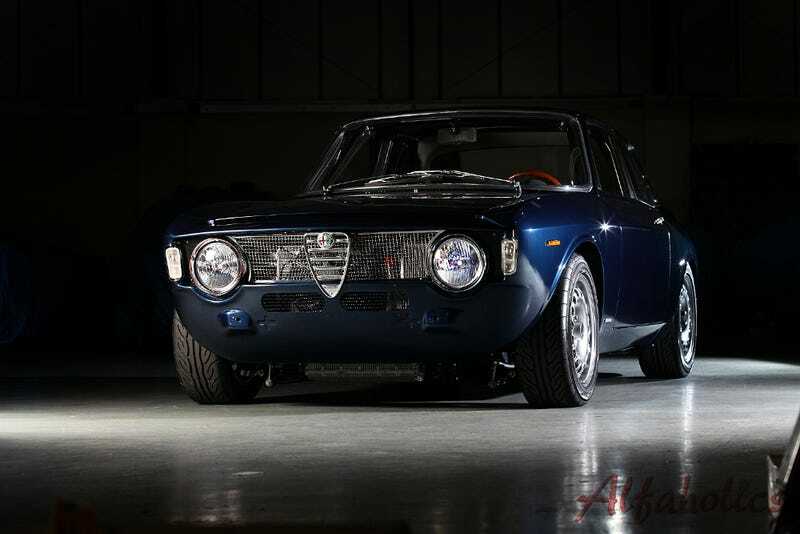 A resto-mod Giulia Sprint GTA, made in a similar vein to Singer’s 911s, wrapped in a gorgeous old-fashioned Alfa Romeo body. In a more perfect world, I’d have this car sharing a garage with a Montecarlo Blue Giulia Quadrifoglio. One can dream can’t he?